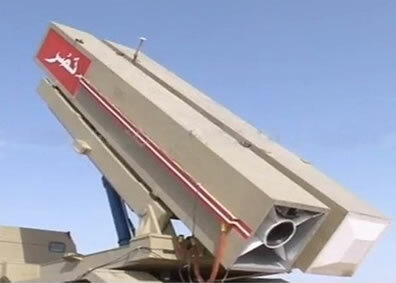 Pakistan's nuclear-capable tactical missile HATF IX (Nasr) is practically a guided rocket that can be loaded with a compact, sub-kiloton nuclear warhead. Photo: ISPR. 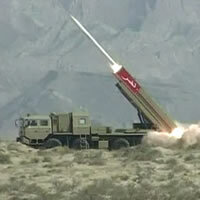 Pakistan has tested a nuclear-capable tactical missile dubbed HATF IX (also known as Nasr). The missile was developed as a ‘quick response weapon’, two missiles contained in transported and launched from a Transporter-Erector-Launcher (TEL) unit carried on a vehicle, similar to a multiple rocket launcher. 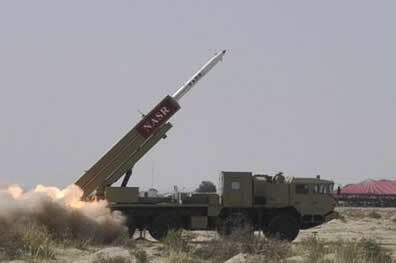 The single stage solid-fuel missile, developed by Pakistan’s National Development Complex (NDC), has a range of 60 km. It is powered by a high-thrust single-stage solid-propellant rocket motor. 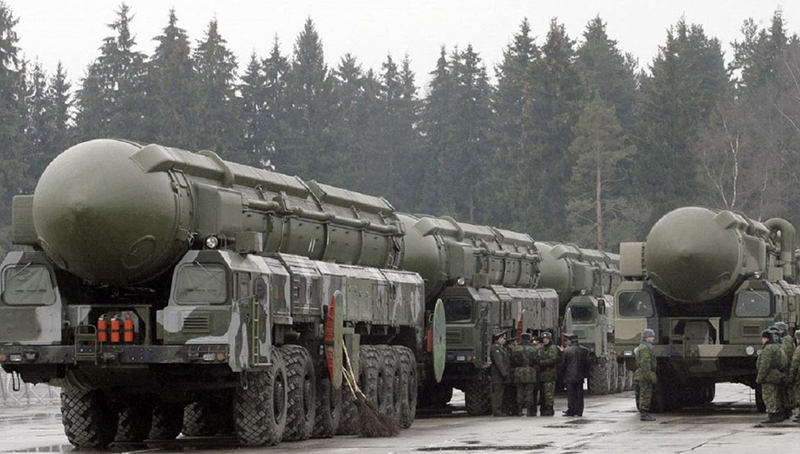 The missile has a midcourse guidance system, employing movable control surfaces emplaced behind the nose. Tail fins also help stabilizing the missile in flight. A terminal guidance system is also employed, further improving hit accuracy. Nasr test firing also demonstrates that Pakistan has progressed with the development of compact sub-kiloton, low yield tactical nuclear warheads. The test indicates Pakistan has the technology to build a small nuclear warheads for all kinds of delivery platforms, said Mansoor Ahmed, a lecturer at Quaid-e-Azam University here who specializes in nonconventional weapons and missiles, quoted by Defense News. “Theoretically, 1 kilogram of weapons-grade plutonium boosted with 4-5 grams of tritium gives a 10-20KT yield, provided the trigger is sophisticated,” Ahmed said. “However, the diameter size of Nasr suggests that the warhead would be less than 1 kilogram, and would be of sub-kiloton range, suitable for battlefield use and could be a fission boosted sub-kiloton fission device.”Pakistan will now “not accept any cap in plutonium production in the foreseeable future,” he said. 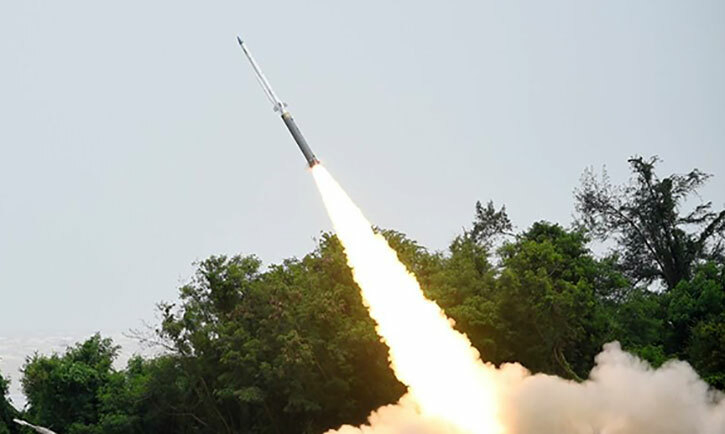 The missile offers Pakistan’s military a quick response system, enabling the country to rapidly deploy massive firepower based on nuclear delivery capability, employing effective “shoot-and-scoot’’ tactics. 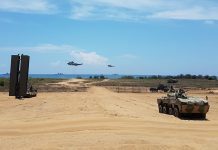 These assets are believed to effectively counter India’s ‘Cold Start’ strategy, part of its ‘limited war’ doctrine, using massive air-land attack by forces maintained at high readiness level. According to Pakistani Lt. General (Retd.) Khalid Ahmed Kidwai, Director-General of Pakistan’s Strategic Plans Division at the National Command Authority, Nasr represents a new milestone in consolidating Pakistan’s strategic deterrence capability at all levels of the threat spectrum. 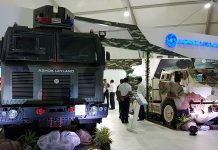 It means Pakistan could potentially refrain from using strategic nuclear weapons in a limited conflict, by employing a low-yield tactical warheads as ‘battlefield weapons’ capable of deterring and inflicting unacceptable losses among overwhelming mechanized forces that could be employed by India under a ‘Cold Start’ attack. While India is not expected to reassess its ‘Cold Start’ strategy yet, such a move will be required once Pakistan demonstrates its tactical weapons capability by detonating such a low-yield warhead. While the Pakistani move was applauded at home, as a counterweight to a potential Indian threat, some voices are also questioning the value within Pakistan’s overall defense strategy.